Unlike the tradition of the Brits of having time in the afternoon, it's high time for tea time in regards to your overall health and wellness. Over the past couple of years, I have fallen in love with drinking tea and discovering incredible blends and botanicals. Tea has some incredible health benefits that can protect your body against so many diseases and many of them are so enjoyable. I began drinking tea after this unwavering desire to heal my eczema. I began having flare ups after flare ups. I came to a realization that much of my skin ailments were not just stress induced but also a reflection of diet consumption. It was almost like an epiphany that toxins were being released from my body and making a grand appearance on the surface of my skin. Hence, my discovery of healing myself through food and teas. I began a detox with teas to combat my eczema. The approach to healing would be to detox my body first and then reduce inflammation. My daily regimen begins with a cup of warm water with lemon as I prepare my water for tea. Normally, I drink a cup before I shower and on an empty stomach. Next, while I'm getting dressed I have a cup of Every Day Detox Tea. It helps to flush the digestive system, eliminating toxins, and balancing pH levels. I am a bit of a sweet tea drinker so I always add a bit of local honey. Mid-afternoon or evening, I try to drink a glass of oolong tea. 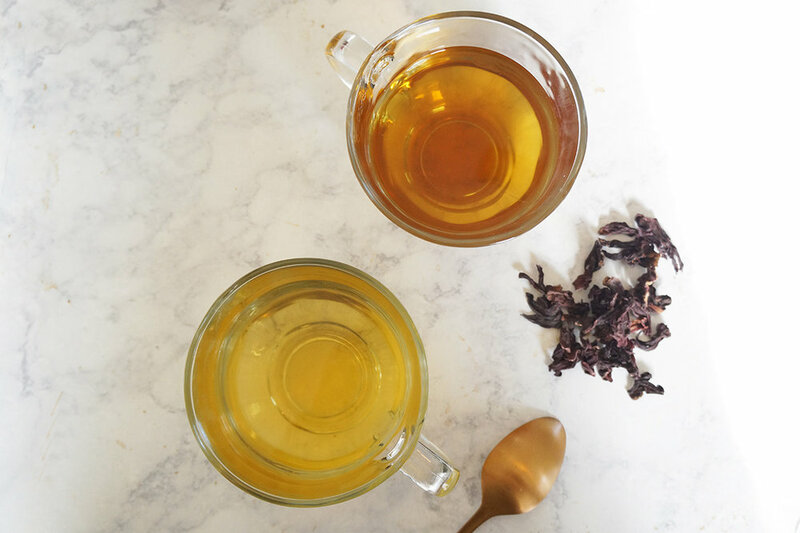 Oolong tea helped my eczema flare-ups significantly. I had grown so tired of using ointments with steroids and over the counter medications that only help for a moment.So, one afternoon I sat at Dr. Champion's feet, a compounding pharmacist and a legendary herbalist in Memphis. He informed me that oolong tea contains a lot of antioxidants and therefore it has the ability to get rid of free radicals that can become a cause of destroying your skin. Simply, it reduces the itchy feeling and inflammation. There is an art of drinking tea and discovering new blends, flowers, and botanicals used to make teas has been very eye opening. I drink so many new varieties now and look forward to sharing more blends and uses with you all. Right now I am enjoying a glass of lemon balm tea fresh from my garden. DO YOU DRINK TEA? WHAT ARE SOME OF YOUR FAVORITES?